Whether you are new to Amazon or been selling for a while, it is important to take time periodically to examine your selling methods to make sure you are converting as many sales as possible and that your profit margins are as large as they should be. One way to do this is to examine how you sell your products. Is it best for you to be on Vendor Central or is Seller Central the wiser choice for you? Trying to answer this question can be confusing and frustrating and that is why we have written up this comprehensive guide that will walk you through the pros and cons of Vendor and Seller Central to help you make a clear and informed decision about which one is right for you. The difference between Vendor Central and Seller Central comes down to who will do the selling of your products. With Vendor Central, Amazon will purchase your product from you and resell it to Amazon users. With Seller Central, you will be marketing and selling your products to Amazon users directly. Vendor Central is a web interface primarily used by distributors and manufacturers. Selling through Vendor Central classifies you as a first-party seller which means you are a supplier, selling in bulk, to Amazon. Access to Vendor Central is by invite-only. 1) Consumer Confidence: Selling through Vendor Central means your products will be marked with the phrase “ships from and sold by Amazon.com.” To a customer’s mind, they are buying from Amazon. Period. Because Amazon is such a large online marketplace and is well regarded and highly trusted, people feel confident in these purchases. 2) Simplified Business Model: Vendor Central makes all of your selling processes much easier. 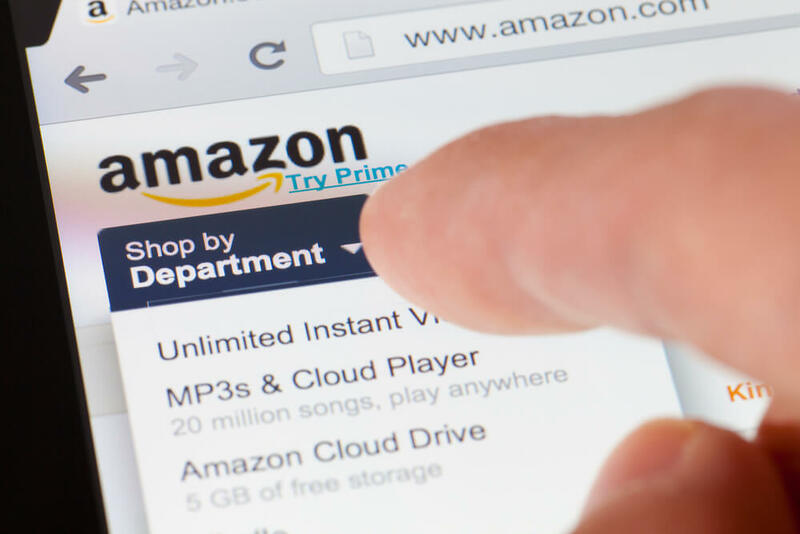 Because you are supplying Amazon with your product, all you have to think about is filling purchase orders, avoid charge-backs, and billing. Easy. 3) A+ Content and More: Vendor Central offers a few unique marketing tools that can help draw buyers to your product. You can create A+ Content which will allow you to change the layout of your listing, include more images, and speak about your product in more detail. Vendor Central also allows you to access promotional programs like Subscribe & Save, Amazon’s subscription service, and Amazon Vine which invites trusted reviewers to review your product before it is released for sale, giving consumers an added trust in your product. 1) Pricing Control: Unfortunately, Amazon does not follow Minimum Advertised Pricing (MAP) guidelines that are offered by manufacturers. They are able to set and adjust any price at any time based on internal data. 2) Logistics: Amazon has very strict rules when it comes to filling their purchase orders. If you struggle to keep inventory stocked or fulfilling orders, you open yourself to charge-back fees from Amazon. Seller Central is the web interface used by sellers and merchants to market and sell their products directly to Amazon customers and are known as a third-party sellers. In this this case, you have two options when it comes to fulfilling orders. You can handle the preparing and shipping of each order yourself, or you can choose to have your item Fulfilled by Amazon (FBA) which involves having your products stored in an Amazon warehouse and they handle all the fulfillment logistics for you. 1) Pricing Control: Seller Central gives you a competitive edge by allowing you to set and control your own price. You can protect your profit margins and price your products to match, or beat, your direct competition. 2) Analytics: Through Seller Central, you are given access to Amazon customer data which can be used to improve your business model. Amazon prohibits re marketing or targeting customers directly, the data can be used to get a better understanding of what people are buying, who is buying it, and where they are located. 3) Brand Messaging Control: Vendors or suppliers often find their products being resold by third-party sellers without permission. These listings often contain very little detail and can harm your brand image. By registering with Amazon’s Brand Registry program, you can combat these unauthorized sales, create Enhanced Brand Content that will improve the consumer experience, boost your brand recognition, and instill trust in your brand. Simply put, you can protect your reputation. 1) Added Fees: Whether you use FBA or decide to ship the products yourself, there are associated costs and fees. Depending on what you are selling, you may have to pay storage fees and then, of course, there is all the costs that come with shipping logistics. When you use FBA, your products are more likely to sell because they are eligible for Amazon Prime, but Amazon will collect storage fees, fulfillment fees, and a commission. For high priced items, this is not an issue but if you are selling small, or discount priced items, it can eat into your margins. 2) Lower Potential Sales: Consumers trust Amazon. This means that those Vendor Central items that say “Ships from and sold by Amazon.com” have an automatic advantage. Customers like the buying items that are sold and shipped by Amazon as they know if there are any issues, its much easier to resolve rather than dealing with the seller directly. Products that are sold by Amazon also tend to have the highest page rankings and also generate the most sales. The choice that is right for you depends on the type of company you want to be. If you want to be a supplier, Vendor Central is the obvious starting place for you. If you want to grow and build your own brand and have more control in how this brand is marketed, Seller Central is your option. Both provide a large number of benefits by way of marketing tools that can be utilized to stay ahead of your competition and how you use those tools is in your control. For some vendors, it might be prudent to set up both a Vendor Central account and a Seller Central account, to help control unauthorized sales of your product. Carefully consider your business, its current needs, and your goals for the future. Choose the option that fits your vision and gives you the opportunity to grow your business as you see fit. Thanks for the post. Good stuff. The difference between the both vendor and seller central was cleared.